Owning a pool and maintaining it are not easy tasks. There are numerous parts to the pool that need routine maintenance and repairs. Like with any part of a home, there are also numerous resources to consider when updating a pool. There are so many different decisions to be made when it comes to spending or saving. One of the most important parts of a pool is the pump. The wrong pump wastes money and can also be extremely noisy. However, the right pump can pay for itself with lower energy costs. Of all the things a pool owner should spend more money on, it should be the pump. Along with the pump, automatic levelers are another part of a pool that is necessary. They fill and level off the pool. They cost about $800 to install, and many newer pools already have them installed, ready for use. The pump and the automatic leveler are the two most crucial parts of a pool. The deck is another component that every pool must have. Decks can cost a lot of time and money to build, along with maintain. However, they are necessary. Whether you should invest in a higher quality deck or not depends on how much traffic you expect for your pool. The surface of the deck is also important. A deck with an older surface could be more slippery while a deck that has a newer surface would not. Pool decks with acrylic lacing contain hints of sand, which provides the deck with more grip. They cost about $800 to build and install. Handrails are also necessary for a pool to be safe. The standard ones are made completely of metal, which can conduct quite a bit of heat in hotter temperatures. Handrails that aren’t made of pure metal would be your best option. Even if this costs a bit more money, it is money well spent. Pool decks combine function and aesthetics. The next set of pool components are pretty much completely aesthetic. One of your options is a pool kitchen. It’s not necessary, but if you have people over often it could be a good option. The prices for a pool kitchen also vary, costing as low as $800 but as much as $4000. Fire pits are also completely for their aesthetic appeal. They cost around $500 to install, but they don’t have a practical purpose. Another part that is completely aesthetic is the waterline tile. They cost roughly $700 to install and often are accompanied by a resurfacing of the deck as well. Saving money in updating one is quite easy once you have separated what is necessary and what is not necessary. One big mistake that most pool owners make is labeling every part of the pool as important, and they are all not of equal importance. 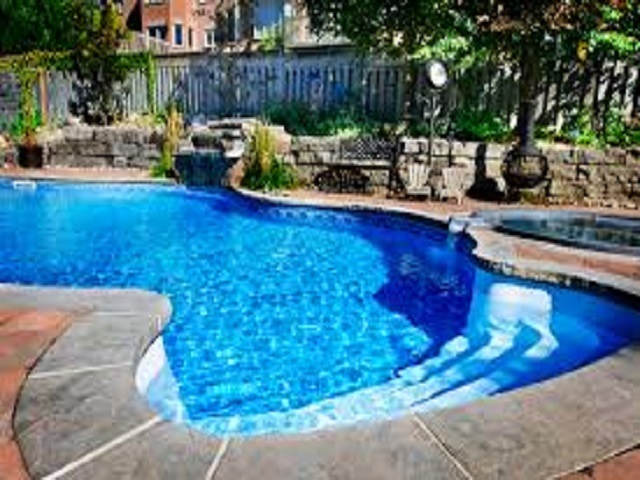 Saving money on pool repair if you think about what your pool personally needs. Authentic plaster & tile was founded by Diane Pierce and her family 35 years ago in Texas. Their specialty ranges from simple remodels with pool surface, tile, coping to complete pool renovations and remodeling by adding tan ledge, benches, water features and more. Also their own developed and manufactured pool surface material, Hydra Products, is warranted in-house and gives not only material warranty but also labor.